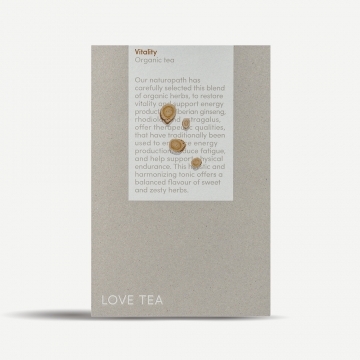 This earthy blend of organic herbs and tea has been designed to support healthy energy production and improve vitality. 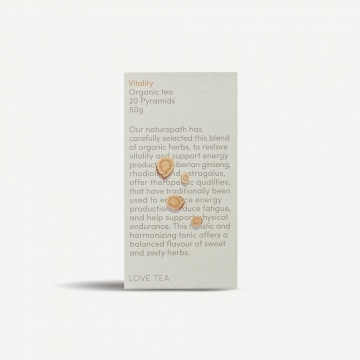 Our naturopath has carefully selected this blend of organic herbs, to restore vitality and support energy production. 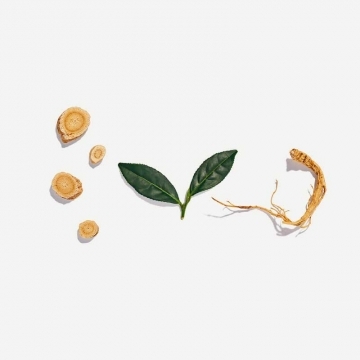 Siberian ginseng, rhodiola, and astragalus, offer therapeutic qualities, that have traditionally been used to enhance energy production, reduce fatigue, and help support physical endurance. 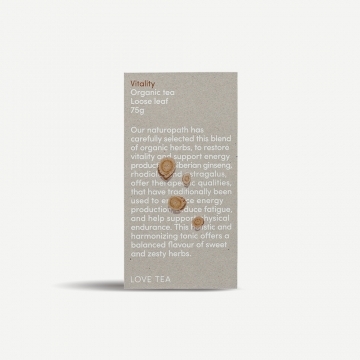 This holistic and harmonizing tonic offers a balanced flavour of sweet and zesty herbs.